A new set of standards is to be drawn up for teaching assistants in England's state schools, the government has said and as reported last week. Here at Catch Up® we are extremely pleased that this review will take place. 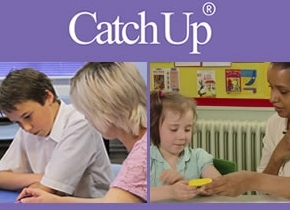 There is much high quality research, including evidence produced by Catch Up®, about the very real and sometimes life-changing difference that well trained and well supported Teaching Assistants can make to improve children's learning. To see that the professionalism of such TAs will be recognised and valued nationally is a great leap forward.